Inspired by D.H. Lawrence, Chekhov and Hemingway, Bukowski's writing is passionate, extreme and has attracted a cult following, while his life was as weird and wild as the tales he wrote. This collection of short stories gives an insight into the dark, dangerous lowlife of Los Angeles that Bukowski inhabited. 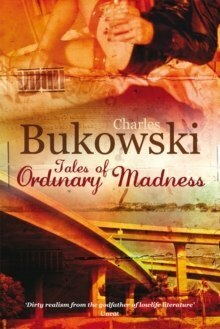 From prostitutes to classical music, Bukowski ingeniously mixes high and low culture in his 'tales of ordinary madness'. These are angry yet tender, humorous and haunting portrayals of life in the underbelly of Los Angeles.